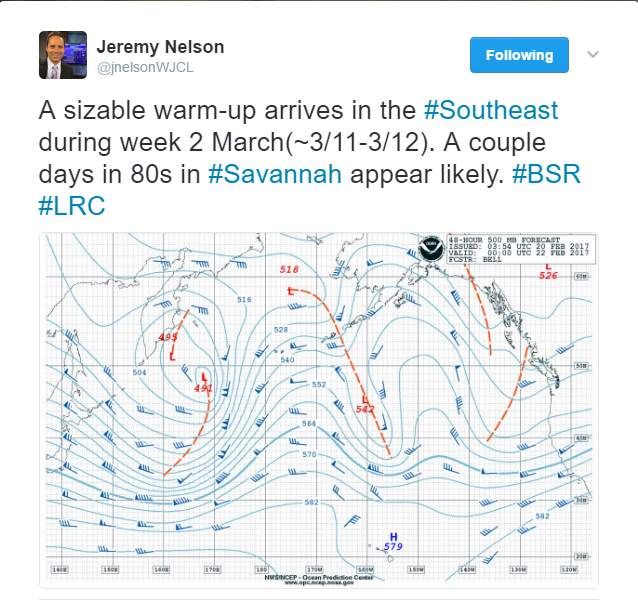 One of the meteorologist who utilizes the #BSR is Jeremy Nelson, formally of WISN in Milwaukee and now at WJCL in Savannah, GA. 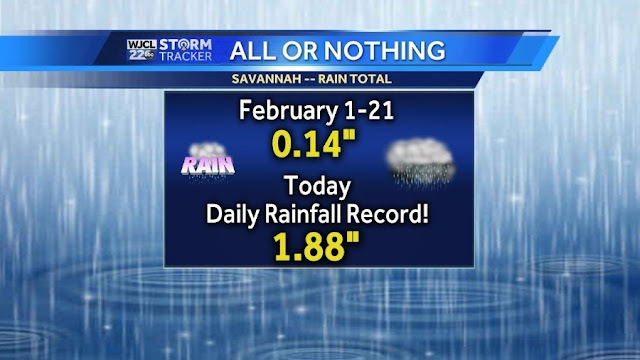 Recently, Jeremy posted a blog regarding the daily record amount of rain that Savannah received...1.88" to be exact. Note the multiple low pressure systems along the Gulf Coast and a strengthening low in the Trinidad, CO region. 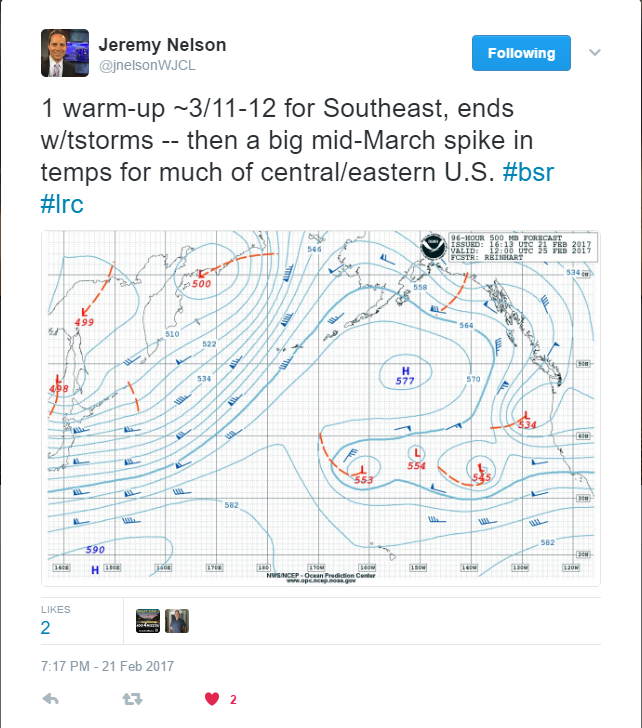 Here is the observed surface map for 12z 21FEB17.. The OBS surface map above has multiple low pressure's that are occluded along the Gulf Coast. 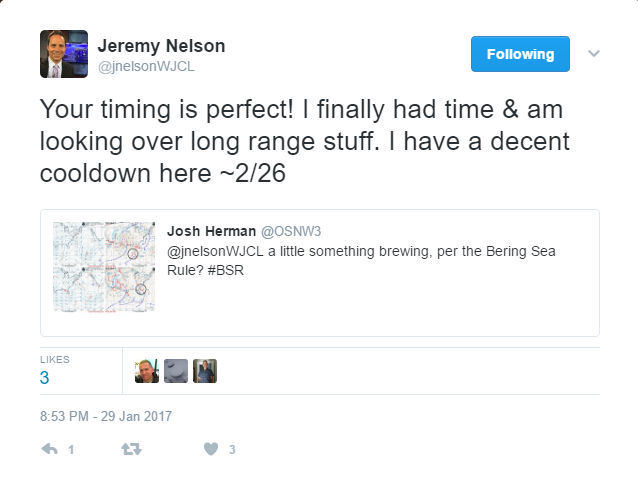 First mention of the end of February was back on January 29th. 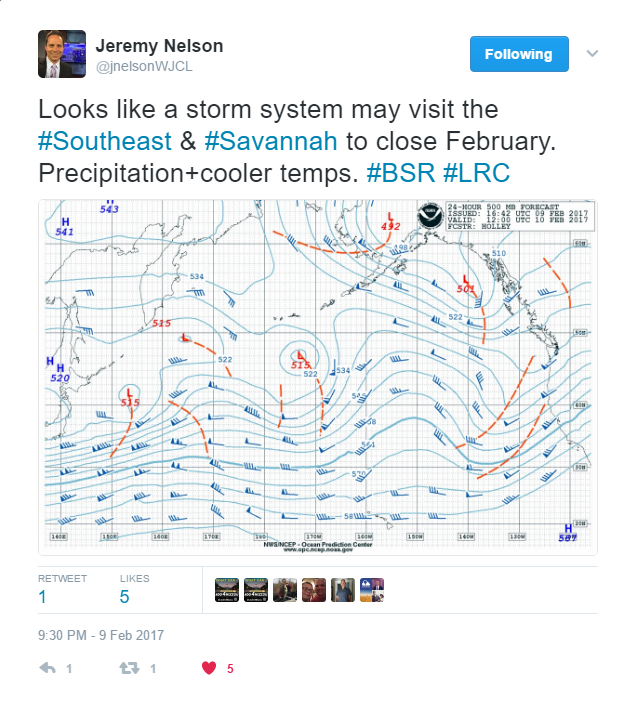 Jeremy followed up regarding the end of the month for a strong system to impact the SE on January 9th. We are looking forward to his verification and #bsr intro blog post for those in Savannah, GA!